'S e 19 an Lùnastal an 231mh latha dhen bhliadhna a rèir a' Mhìosachain Ghriogaraich (232mh ann am bliadhna-leum). Tha 134 latha air fhàgail gus deireadh na bliadhna. 1315 - Phòs Louis X na Frainge Clémence às an Ungair. 1745 - Bliadhna Theàrlaich: thog Prionnsa Teàrlach Stiùbhart a bhratach ann an Gleann Fhionghuin. 1919 - Fhuair Afganastan a chuid neo-eisimeileachd. 1960 - Fhuair a' Chongo a chuid neo-eisimeileachd bhon Fhraing. 1745 - Johan Gottlieb Gahn, ceimigear às an t-Suain. 1830 - Lothar Meyer, ceimigear às a' Ghearmailt. 1920 - Eduard Frankfort, ann an Laren. Peantair às na Tìrean Ìsle. 1946 - Bill Clinton, 42mh ceann-suidhe nan Stàitean Aonaichte. 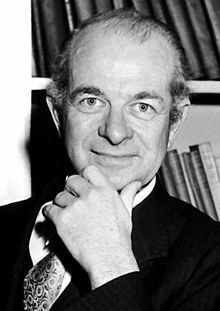 1994 - Linus Carl Pauling, ceimigear Aimearaganach. Air a tharraing à "https://gd.wikipedia.org/w/index.php?title=19_an_Lùnastal&oldid=521748"